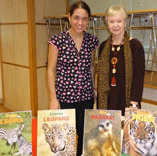 A lovely morning with Claudia talking to young children at the Montessori School. But there was a typhoon hovering and the children were sent home when the number 3 signal was announced. This signal means there are dangerous high winds and it’s not safe for young children to travel. I arrived at ISF School the next day soaking wet. My shoes squelched with very step and thankfully Ada Lee rescued me with paper towels to dry my clothes. But it was wonderful talking to the students again. They were so excited watching my new animal videos. A teacher came up to me after my talk and said it was the most exciting and inspiring presentation she had ever seen. That was so special! 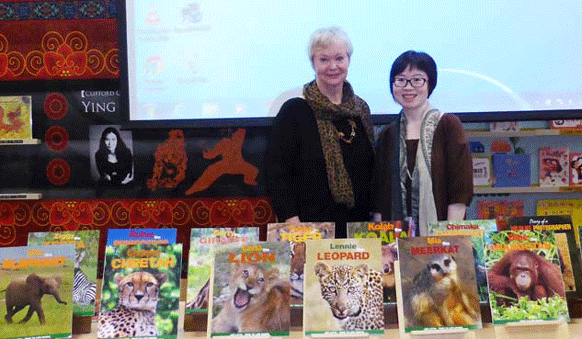 Another wet day with the lovely Joli Moore who invited me to talk to the students at PLK Choi Kai School again. I arrived at 7.15am because it was difficult to get a taxi in the bad weather. I had a wonderful morning talking to Year 2 to Year 5 students. The next day was dramatic. One typhoon had passed but another one was coming direct to Hong Kong and it was predicted to be the biggest in 15 years. 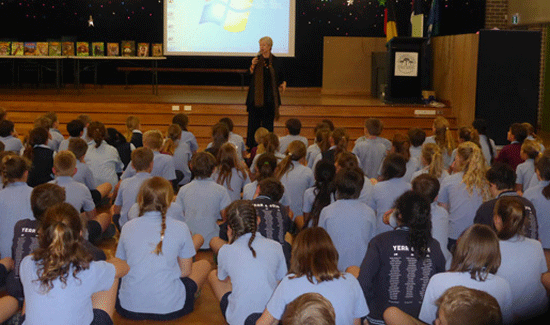 I had four presentations at the Australian International School and that evening, a flight back to Sydney. Megan O’Connor and all the teachers were wonderful giving me updates on the typhoon. I nervously went to the airport and checked in. The flight was called at 8.0pm and then a long wait on the tarmac. The pilot said, “If we don’t get out by 9.30pm we won’t get out at all”. It was 9.0pm. I could see all the planes lining up on the runway – then one after the other they departed. It was 9.15pm. Then it was our turn and finally we left. I was so relieved!! Surprisingly it was not a bumpy flight back to Sydney.